The dedication and hard work by Kevin Banfield from Gouyave, St John in setting up youth sailing clubs in Gouyave and Woburn, paid off as he returned from the United Kingdom on Saturday, 20 October after attending a 6-week sail coaching course. 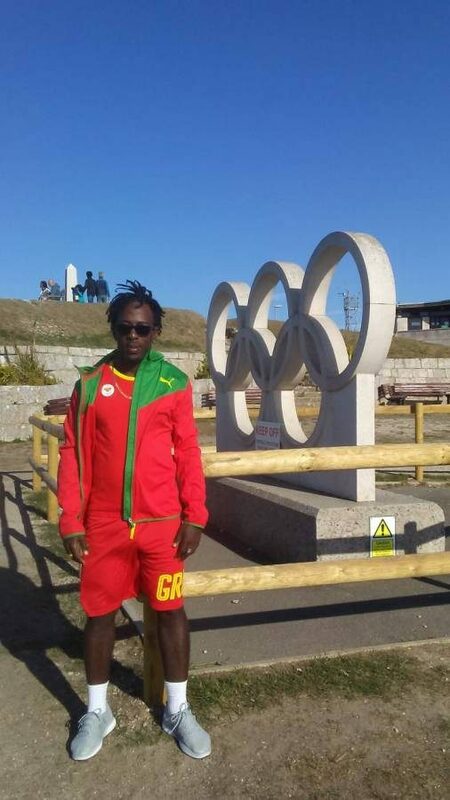 With the assistance of Grenada Sailing Association and the Grenada Olympic Committee, he was awarded a scholarship from the International Olympic Committee (IOC) covering all expenses, to attend the 2018 World Sailing Scholarship Training for Coaches. 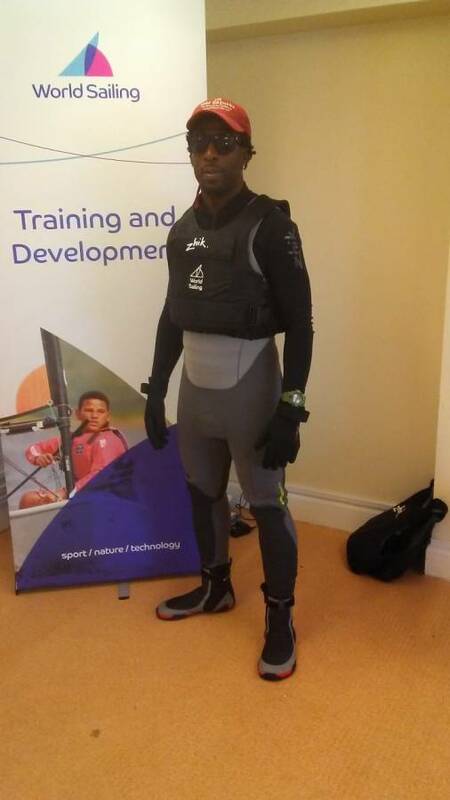 The training programme took place at the UK National Training Centre in Weymouth, Dorset and offered Banfield, already an officially recognised sailing coach and active in his sport, access to high-level further training, experience and knowledge which he plans to use to benefit the development of sailing in Grenada. Practical skills personal ability as well as the unique challenges in delivery of sailing disciplines including, but not limited to kiteboarding, windsurfing, dinghy, multihull as well as yachting are all part of the course as well as practical skills of powerboat or coachboat handling were developed. Banfield also worked on management and assessment skills required to maintain such a programme within the unique sailing ‘landscape’ of Grenada. Grenada Sailing Association is very proud to be able to have supported Banfield throughout this training programme and is now working closely with him on his return on the development of a National Sailing Academy, to offer a variety of sailing disciplines as sport for all within Grenada. The proposed sailing academy will fall under the management of Grenada Sailing Association as a non-profit entity and will be seeking partnerships within the fast-growing and vibrant marine industry in Grenada. The initiative has the support of the Grenada Olympic Committee, the Ministry of Sports, Youth and Culture, and the Ministry of Tourism, and has the objective of providing an exciting youth sailing training program open to all, enhancing and building on classroom education in a practical and fun environment. The opportunity to Grenada’s youth once the love of sailing has been nurtured is extensive and exciting. The marine sector in Grenada is booming, with Grenada being ideally placed below the hurricane belt with excellent marinas, boatyards and facilities for visiting yachts. The government has publically stated that this industry is the fastest growing industry and combined with the Blue Growth initiatives, expects the sector to double the GDP within the coming years. A youth sailing programme is not just about sailing a boat in the clear blue Caribbean Sea and having fun. It’s about discipline, foresight, planning, anticipation, developing a love for boats and the sea, but above all it can be a huge stepping stone for the youth of Grenada into a lifelong career in the marine industry, not only in Grenada or regionally, but internationally. We, the Grenada Sailing Association, look forward to supporting and developing Kevin’s career and that of many other young persons in Grenada. Well done Kevin. The Grenada Sailing Association was formed as the national administrative body of sailing in Grenada and registered in June 1997.